The University of Cincinnati on Friday, March 15, hosted its tenth-annual “Do It or mDIEp!” competition. 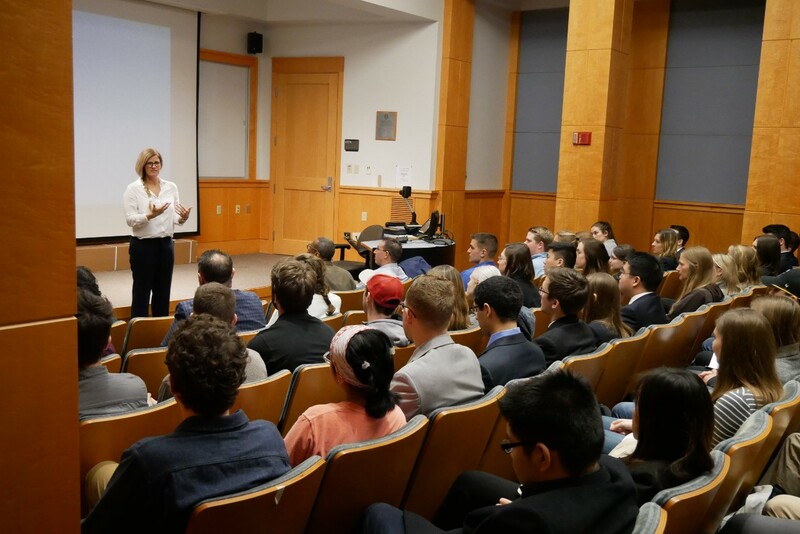 The competition, presented by the Department of Biomedical Engineering’s Medical Device Innovation & Entrepreneurship Program (MDIEP), gives students a platform to showcase medical device projects to industry representatives. Presenters are biomedical engineering students in UC professor Mary Beth Privatera’s medical device design capstone course. Students choose a real-world problem and apply what they’ve learned from their experiences at UC to find innovative solutions. This year, UC visiting professor Jason Glithero also advised the student projects. The event highlights the innovation agenda platform of UC’s strategic direction Next Lives Here. The competition limits each presentation to five minutes, with two minutes for questions. The format encourages strong communication with industry that reflects a real-word environment, Privatera said. This is a way for students to showcase their skills, talents and their ability to present. For the projects, students employed technologies like additive manufacturing, computer-aided design and infinite element analysis. One team used a 3D scanner to develop an automatic sizing system for a wrist brace. Another team engineered a stent that diverts blood flow to reduce the risk of aneurysms. Just as important as the technology was the collaboration with physicians. In addition to faculty mentors, students worked with physicians at UC Medical Center and other area hospitals. Industry judges, representing local medical device companies such as Kinetic Vision and AtriCure, awarded the top three teams with cash prizes. The project “Novel Solution for Nasal Intubation” by UC students Jana Cody, Alex Hoyle and Kristina Hulm won first place for developing a universal nasal tube used in maxillofacial surgeries. The “Do It or mDIEp!” competition helped prepare UC graduates to enter the workforce with the communication skills to succeed. The creativity and problem solving students displayed in the projects will translate to exciting endeavors in the industry. The University of Cincinnati is the region's destination for thinking, making, doing, discovery and delivery. Next Lives Here.